If you've ever been a kid - or are one now - then you know there is no such thing as getting too early of a start in priming your parents for Christmas... not for what they want, of course, but for what you want. In fact, if you haven't begun dropping hints by Thanksgiving, then you really need some remedial training in how to handle the season. Here I offer some assistance. Recall how in A Christmas Story, Ralph "Ralphie" Parker exhibited a manic desire for an "official Red Ryder carbon action 200-shot Range model air rifle with a compass in the stock, and this thing which tells time." 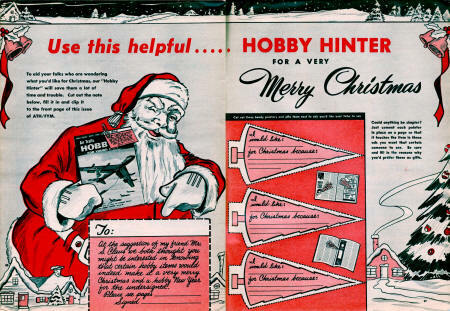 His scheme was to place copies of the Red Ryder advertisement from Boys' Life into his mother's and father's magazines so that they would see it. 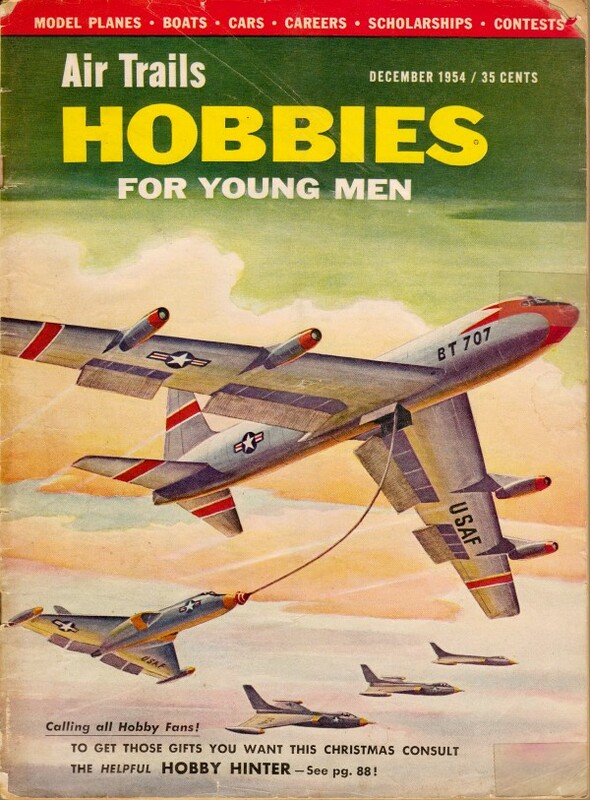 A more direct - and probably more effective - method is to print out this "Hobby Hinter" that appeared in the December 1954 edition of Air Trails Hobbies for Young Men. Good luck!